Huey is the founder of Toolshed, a digital marketing and licensing strategy service focused on indie music. He previously headed the new media department at the Beggars Group and has held advisory roles at SoundExchange, RoyaltyShare and Tunecore. Flohr, of Redlight Management, has guided the careers of Dave Matthews Band, Stone Roses and the Cowboy Junkies over the course of his 20-year career. McIntyre has held senior executive roles at CBS, AOL and Last.fm, and is the former CEO of analytics startup awe.sm, which was acquired in 2014. It’s been a busy year for 8tracks, which recently announced partnerships with INgrooves, TuneCore, CD Baby, Dim Mak and DashGo, along with a handful of other indie labels and distributors including Naxos, Black Hole Recordings and Armada Records. The company said these deals have added over 9 million tracks to the service’s library and that it has reached 8 million monthly listeners. Punctuating its focus on playlists and new music discovery, a third of the service’s 30 million monthly listening hours are streamed from indie labels and artists. 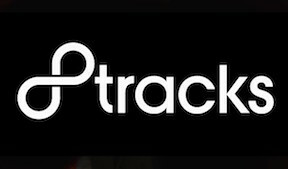 Huey, Flohr and McIntyre join an 8tracks advisory board that also includes Atlantic Records chairman Craig Kallman, Shazam founder Philip Inghelbrecht and The Orchard’s Tuhin Roy, among others.